Hi Everyone! 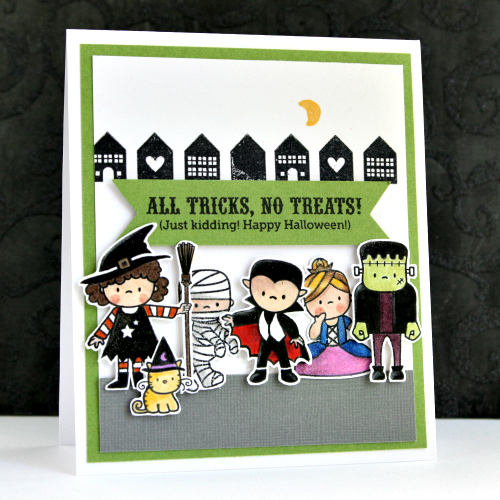 Today we are Highlighting "Bootastic" I am so ecstatic with the amount of love this set is getting! It's just fantastic! I just adore all those cute kids in costumes that come to my door every Halloween. There is just something about the holiday that makes me smile or maybe it's the sugar high when I sneak myself a treat here and there. Let's see what kind of tricks or treats our Design Team have up their sleeves! 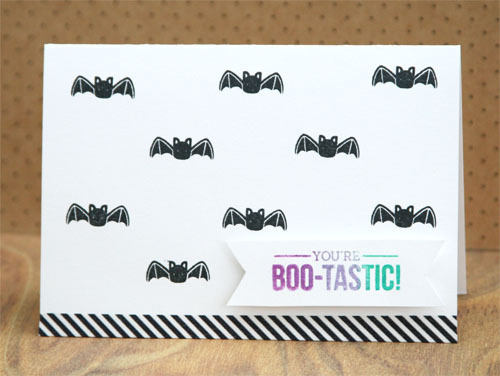 Pearl created a clean and simple patterned background with cute little bats and a label with the ombre stamped sentiment "you're boo-tastic". Jenn used the house stamps from the Full House set to create a neighborhood for all of the adorable goblins to visit. 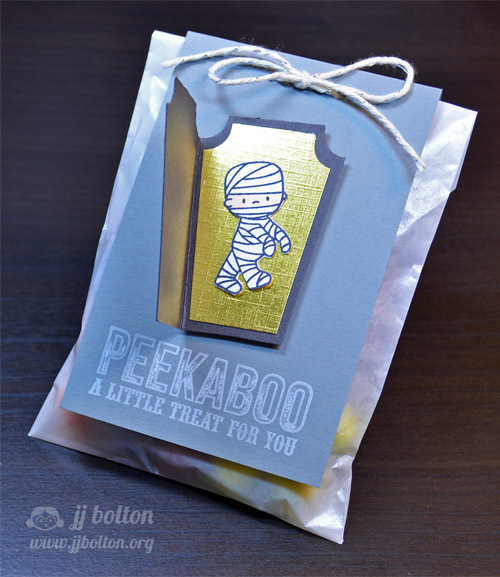 JJ used her Bootastic stamps to create a little goodie bag tag complete with scary mummy in a coffin! Lea chose to stamp her image in white to a chalkboard paper block to give it that trendy feel! 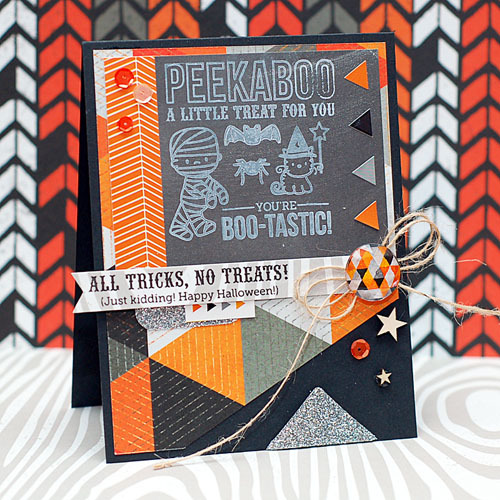 Paired with triangles, this card is cute & current! 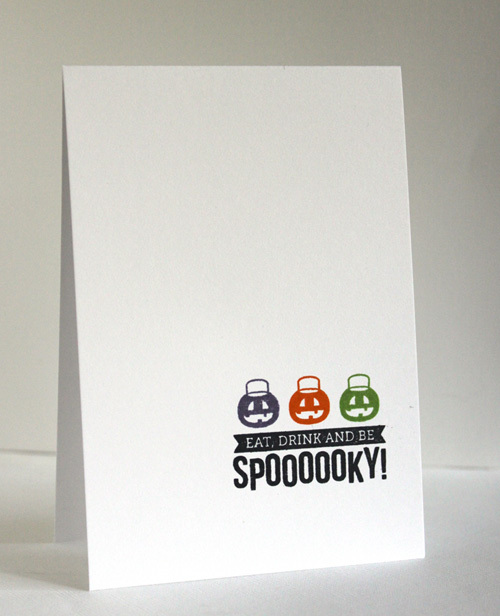 Alice used one of the accessory stamps and a fun sentiment from this set to create this simple card. 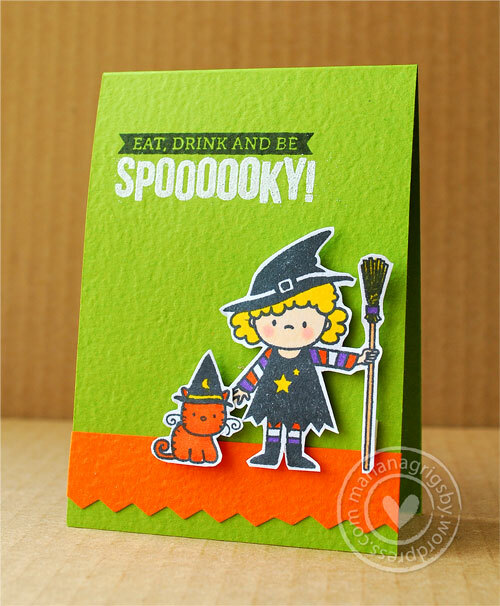 Mariana created a little Halloween card. The cute images were colored with markers, and part of the sentiment was heat-embossed with white embossing powder. wow these ladies are amazing.. this set is ADORABLE..
Super cute DT creations!!!! Love this set...its stinkin' cute!! Your design team did a great job. Each card is so different. 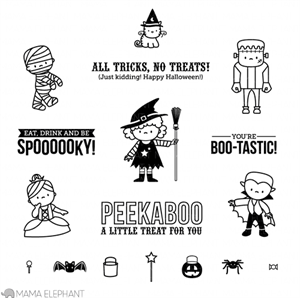 I honestly think you can stretch this set and use images and sentiments year-round e.g., Peekaboo for a baby card, you're boo-tastic for Valentine's day, etc. Love this set and the cards are great. A sugar high indeed. Well said. Cute Cute Cute - awesome cards. Love them all. First real smile of the day. TY for sharing. This is a cute set. Love the inspirations from the DT. Its a must have for me!!!! They are so adorable! Bootastic is just the cutest. I love the font on the word Peekaboo. SO adorable!!! Love what the DT made with this set!! Great stamp set, Kryssi! I love all the DT projects so much, too! Such fun cards! I love these stamps, I have to pick them up! Great cards! I really love Savannah's peek-a-boo card. Bootastic is adorable! It's my fave!